Super Mario Maker is undoubtedly one of the best modern Nintendo games. In recent weeks I’ve found myself playing it as extensively as I did when it was first released. That’s the kind of longevity and replayability most games couldn’t hope for. Why is it so addictive? It’s like I’ve said in the past, it turns the process of level editing into something that’s not only accessible, but fun in its own right. And playing the levels of other players provides countless surprises (some pleasant, others not so much). 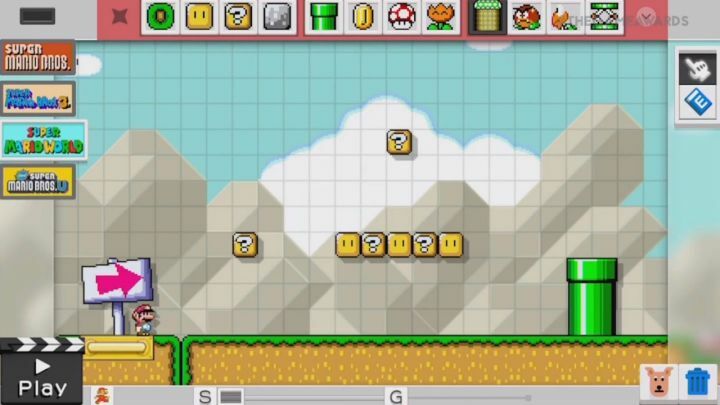 While there were some limitations when the game first launched (and there still are a few that could be addressed), Super Mario Maker’s updates through the months have smoothened things out all the more, and added some great new features (the Fire Koopa Clown Car allows for more accurate shooter levels, for example). Can the Mario RPGs Reclaim Their Glory? During the most recent Nintendo Direct, Nintendo unveiled the newest entry in the Paper Mario series, Paper Mario: Color Splash for the Wii U. To put it lightly, it was met with an underwhelming reception. Color Splash is scheduled for release later this year, and not too much of the game has been revealed, so I’m not about to pass full judgement on it until then. However, as it stands, the game is, quite bafflingly, looking to be something of a sequel to Paper Mario: Sticker Star in terms of mechanics and gameplay. 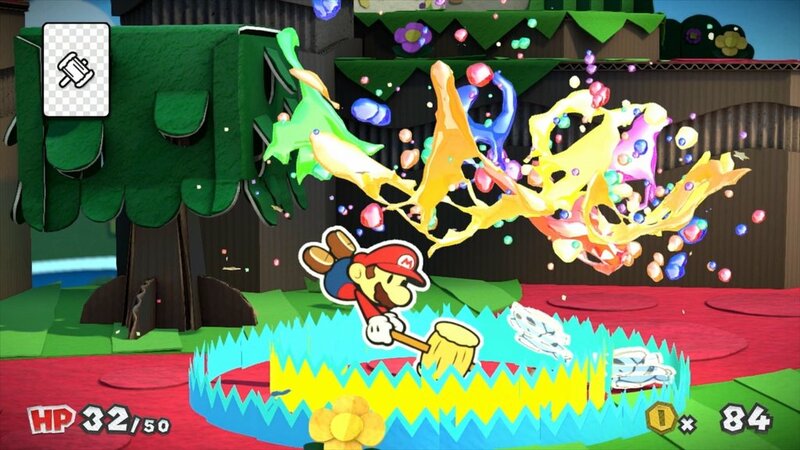 Many of Sticker Star’s elements look to be reused or reconfigured for the upcoming Color Splash, with the Stickers of the previous game being replaced with cards and paint. 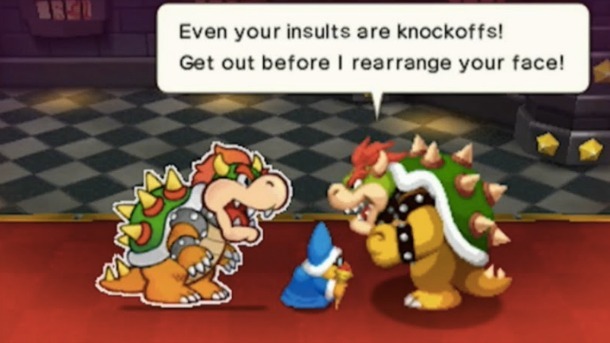 This is quite worrisome, considering Sticker Star is currently the only flat-out bad Mario RPG to date. And considering the two Mario RPGs that followed (Dream Team and Paper Jam) have simply been “good” and not something more, the Mario RPGs are in desperate need of a reinvigoration, and a follow-up to Sticker Star is the exact opposite of that. My opinion on Sticker Star isn’t one of a minority either, as most longtime Mario RPG fans share my sentiments that it is a sour note in what was once a lovely symphony of Mario role-playing games. And if Color Splash does indeed serve as a successor to Sticker Star, it will be an absolutely dumbfounding decision on Nintendo’s part. The first two Paper Mario titles on the Nintendo 64 and GameCube – Paper Mario and Paper Mario: The Thousand-Year Door, respectively – are among the most beloved Mario games of all time by fans. With their interactive, fast-paced battle systems, charming stories, and oodles of depth, they were RPGs of such quality and accessibility that they should rank highly on any list of the genre’s finest. While many once-classic RPGs have aged for the worse, the first two Paper Mario games (as well as the other classic Mario RPGs) haven’t aged a day. Their fanbases haven’t exactly been quiet about their desire for a more traditional follow-up to the original Paper Mario duo, and seeing as Thousand-Year Door was released way back in 2004, it is absolutely eyebrow-raising why Nintendo continues to stray further and further with the series. I hope I don’t sound like one of those entitled, bratty gamers who have already started a petition for the game’s cancellation. For all I know, Color Splash may very well end up being a great game, so I’m not trying to write it off when all we have to go by are a couple of trailers. But judging from what is to be seen so far, it’s giving some very bad feelings of deja vu for Sticker Star. And if that does turn out to be the case, it could crush the reputation of the Mario RPGs. The last truly great Mario RPG was 2009’s Mario & Luigi: Bowser’s Inside Story on the Nintendo DS. After that, Sticker Star came along and diluted the Paper Mario series. Dream Team and Paper Jam were decent entries in the Mario & Luigi series, but lacked the quality and depth of Bowser’s Inside Story and its predecessors. There was once a time when every Mario RPG felt special. The original Super Mario RPG is still one of the most beloved games of the genre, Paper Mario was one of the N64’s best titles, Mario & Luigi: Superstar Saga ensured that the original trilogy of Mario role-playing games were all unique entities, while The Thousand-Year Door proved to be a substantial sequel. Although Mario & Luigi: Partners in Time and Super Paper Mario weren’t quite up to par, they were still memorable adventures. Then along came Bowser’s Inside Story, which felt like the proper follow-up to Superstar Saga. Since that time, however, the Mario RPGs have simply become solid but uneventful Mario spinoffs, akin more to the Mario sports titles than the RPGs of old. And Color Splash doesn’t exactly look reassuring. So where do the Mario RPGs go from here? Well, I’ve always been a fan of the idea of Nintendo working out a deal with Square for a proper sequel to the original Super Mario RPG. More realistically, I’ve also long supported the idea of a brand-new Mario RPG, with no direct ties to any of the existing entries, akin to how the first three Mario RPGs were distinct entities. That might be the direction Nintendo needs to go if they wish to give the Mario RPG genre a future that can live up to their glorious past. The Mario & Luigi series, while still delivering mechanically sound games, have seemingly run out of creativity. Meanwhile, Sticker Star all but ruined the Paper Mario name, and if Color Splash is anything less than a complete redemption of it, then the series will have completely lost its luster, lest Nintendo finally decides to make a more literal follow-up to The Thousand-Year Door. The core platforming entries of the Super Mario series are the ones that receive the most acclaim. And while they are deserving of such praise, there was once a time when it could be argued that the Mario RPGs were every bit as great. It would be a truly sad thing if those days were behind us. Sadly, if Color Splash ends up being little more than Sticker Star 2, that may very well be the case. At least as far as the ongoing Mario RPG series go. A complete overhaul is sounding better and better. Author themancalledscottPosted on March 8, 2016 Categories Video Games, Wii UTags Mario & Luigi, Nintendo, Paper Mario, Paper Mario: Color Splash, Super Mario, Super Mario RPG: Legend of the Seven Stars, Wii U7 Comments on Can the Mario RPGs Reclaim Their Glory? After the inaugural Super Mario RPG, the Mario roleplaying games branched into two different series: the Paper Mario series, and the Mario & Luigi series. After going back and forth between the two spinoffs for a decade and a half, it seems only appropriate that they’d eventually end up coming together. Enter Mario & Luigi: Paper Jam. As the title of the game suggests, Paper Jam is more Mario & Luigi than it is Paper Mario, but perhaps that’s for the best, seeing as the last Paper Mario (that would be Sticker Star) was the first dud of a Mario RPG, while the Mario & Luigi games have been a bit more consistent. Though Paper Jam retains much of that consistency in a number of areas, it’s a bit paper thin in others. 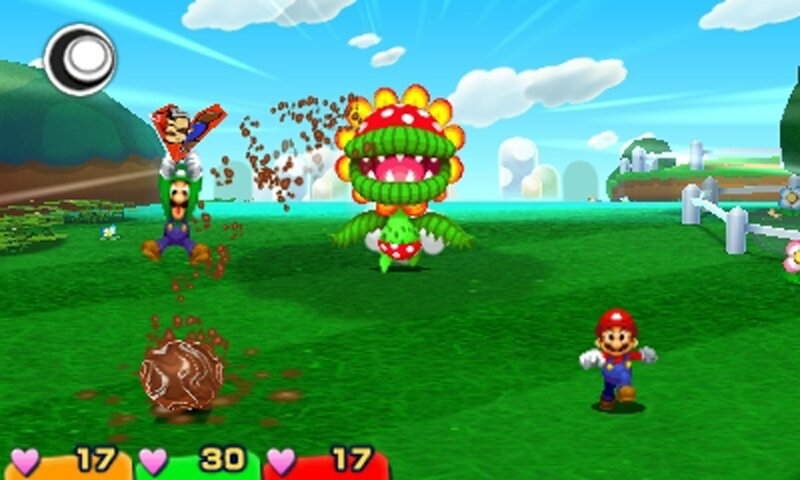 In Paper Jam, Mario and Luigi are joined by Paper Mario, after Luigi accidentally opens a magic book that unleashes the denizens of Paper Mario’s world into the Mushroom Kingdom. Paper Mario makes for a fun new addition to the gameplay, being able to squeeze through tight spaces, roll into a scroll to grab out of reach objects, and even turn into a paper airplane when necessary. But Paper Mario’s biggest contribution comes in the game’s battle system. Like all of the Mario RPGs, the battle system is fun and engaging, with each of the character’s actions being mapped to a different button on the 3DS (A for Mario, B for Luigi, Y for Paper Mario). As is series tradition, each enemy provides a different strategy in their attacks, leaving every battle feeling fresh. Mario and Luigi still use their usual jump, hammer and Bros. attacks, while Paper Mario puts a new spin on the equation. Paper Mario can create copies of himself, which give him more jumps in his attacks, and allows his hammers to attack multiple foes at once. Paper Mario also gets special “Trio” attacks which, as their name implies, are special moves that utilize all three characters. Boss battles are another highlight of the game, with many of the boss encounters bringing out all the stops in the battle system. Additionally, Papercraft battles – which serve as exclamation points to a number of the chapters in the game’s story – further change up the gameplay. Papercraft battles more or less replace the giant battles from the last two Mario & Luigi installments, and place the three heroes on top of mech-like papercraft constructs. Between the player interaction, enemy varieties, Bros. and Trio attacks, fun bosses and papercraft battles, Paper Jam certainly has a lot going for it on the RPG battle system front. On the downside, there are two elements to the gameplay that prevent Paper Jam from reclaiming the glory of Superstar Saga or Bowser’s Inside Story. The first, unfortunately, is part of the battle system itself, in the form of character cards. Not long into the adventure, the Mario trio gains the ability to use special cards in battle (mostly as a means to integrate Amiibo functionality into the game), but they’re a practically broken mechanic that make battles far too easy. I found myself never using them as to keep the fun of the battle system intact. The other problem occurs outside of battles, in the form of Paper Toad rescue missions. 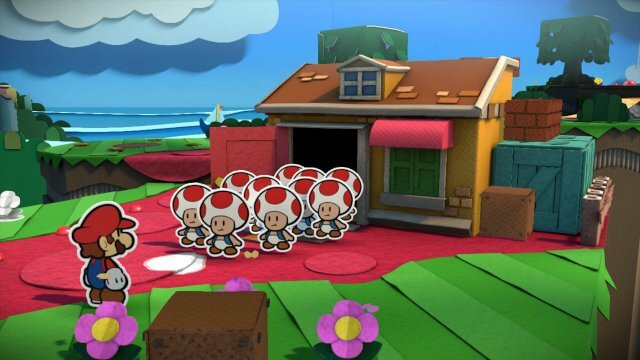 Within each chapter of the game, the heroes will have to take part in multiple mini-games in which they need to rescue a series of Paper Toads. On their own, these mini-games aren’t bad, but they become so insistently frequent they end up breaking the flow of the game. As an optional sidequest they may have added to the experience. But seeing as they’re often forced on the player in order to progress, they start to feel like unnecessary padding. Perhaps the biggest misstep of Paper Jam doesn’t involve the gameplay, but the writing. Since their inception with Super Mario RPG, Mario roleplaying games – the Mario & Luigi series in particular – have been some of the funniest games out there. They often play up the bizarre and surreal nature of Mario’s world to give them a unique sense of humor that simply wouldn’t work in a game outside of the Mario series. That’s why it’s a shame to admit that Paper Jam, though not without its moments, isn’t really funny. The storyline is incredibly simple, with Bowser and his paper counterpart working together to conquer the Mushroom Kingdom, while the heroes try to get both worlds back in their place. It’s a plot that simply doesn’t play up the charm and weirdness of the Mario series in the way the Mario & Luigi games used to excel at. It should also be noted that every character who appears in the game is a returning face from the Mario platformers. While Superstar Saga, Bowser’s Inside Story and, heck, even Partners in Time and Dream Team introduced us to some fun new characters as well as old favorites, Paper Jam seems to be playing things incredibly safe with its character selection. Fawful will forever be missed. 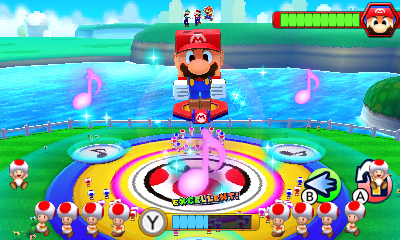 If you’re looking for a solid RPG on the 3DS, then Mario & Luigi: Paper Jam is a whole lot of fun. The battle system is terrific if you ignore the cards and Amiibo, it looks great, with the paper characters in particular really standing out with the 3DS’ 3D effects, and the musical score by Yoko Shinomura is once again a standout. But there was a time when Mario RPGs were more than simply “solid,” and provided some of the best RPGs of their respective generations. Super Mario RPG is still remembered as one of the classics of the genre, Paper Mario is one of the more timeless N64 titles, the Thousand-Year Door was one of the GameCube’s finest offerings, and Superstar Saga and Bowser’s Inside Story are underrated gems. The fact that the last few Mario RPGs haven’t been nearly as memorable is somewhat worrisome. Mario & Luigi: Paper Jam is a fun game in its own right. But perhaps it’s time the Mario RPGs created a whole new identity outside of Mario & Luigi and Paper Mario and start fresh. It would be a true shame if the Mario RPGs continued merely being “solid” and not something more. Nintendo has officially opened up a character ballot for potential DLC characters for Super Smash Bros. for Wii U and 3DS. For the first time in forever, Nintendo fans can officially make suggestions for characters they’d like to be added to the series, with the possibility of some suggestions becoming a reality. If you want to vote for your favorite characters, you can do so by going here. Nintendo’s setup is simple enough: Name the character, the game/series they appear in, and give a brief reason why they should be in the game. Naturally, I have already voted a number of times. There are some characters I wanted for a while that actually ended up in the game (Rosalina, the Duck Hunt dog), but there are some other favorites that didn’t make the cut. Some of my choices are a little more obscure, but some are characters who should have been in the series by this point. At the very least, they all make more sense than Dark Pit. Why she should be in Super Smash Bros: A better question is why hasn’t Dixie Kong been in Super Smash Bros. already? The Donkey Kong series, despite being Nintendo’s earliest franchise, as well as one of their most popular, is grossly underrepresented in Super Smash Bros. With DK and Diddy already in the game, the next logical choice would be Dixie Kong. 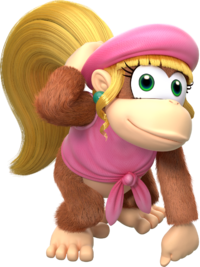 She debuted in the second (and most beloved) Donkey Kong Country game, was the star of the third entry, and has remained a series mainstay. She was even the most useful partner in Tropical Freeze! There really is no reason why Dixie hasn’t been in the series yet. She’s a fan favorite and represents one of Nintendo’s biggest series. Best of all, her prehensile hair could give her an incredibly unique moveset. 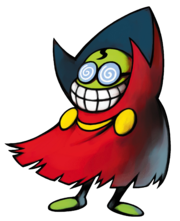 Why he should be in Super Smash Bros: Fawful, having appeared in the first three Mario & Luigi games, is one of the more recurring antagonists in the Mario series. Smash Bros. could use a few more villain characters (Bowser, Bowser Jr., Ganondorf and King Dedede being the only ones in Wii U and 3DS), and Fawful is a great candidate. He quickly became a fan favorite due to his odd characteristics and bizarre speech patterns, and he can represent the ‘spinoff’ side of the Mario series proudly. He to, could have a unique moveset (imagine Wario meets Snake from Brawl) that could add some extra humor to the series. Why he should be in Super Smash Bros: Few characters have been as requested for Smash Bros. as Geno (especially by me). 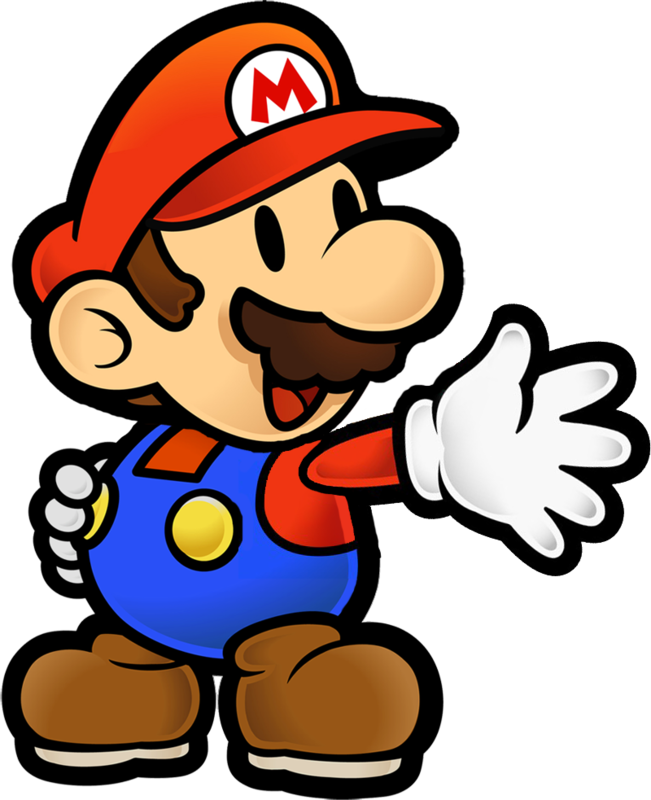 The reasoning is simple enough: He’s the most popular character from one of the most beloved Mario games, and he, like the rest of Mario RPG’s original characters, have yet to return in another game. People want Super Mario RPG to be acknowledged, and Geno becoming a Smash Bros. fighter would skyrocket that game’s recognition. Plus, Geno’s moveset writes itself! He could be a very unique, and very effective addition to Super Smash Bros.
Of course, we must address the elephant in the room: Square-Enix. Square still owns the character, and they’ve never been the most compliant of developers. The fans can request Geno all they want, and Sakurai could listen, but Square also needs to give the okay. I certainly hope enough people request Geno as to open the eyes of both Sakurai and Square-Enix. Why he should be in Super Smash Bros: Again, Super Smash Bros. seriously needs more Donkey Kong representation. And it needs more villains. 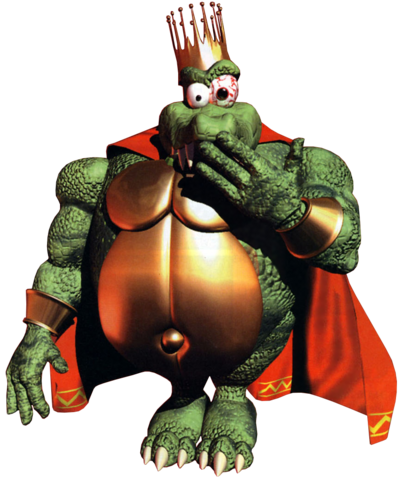 King K. Rool therefore fills two holes in the roster. Similar to what happened with Dedede in Brawl, he has a moveset more or less ready and waiting for him from his various boss fights throughout the years. Also, if K. Rool were to make the cut, he needs to have a Kaptain K. Rool palette swap. Because pirate crocodiles. Granted, it’s hard to say just how good K. Rool’s chances would be, considering he hasn’t even appeared in a Donkey Kong game in years. But if he were to make it, he’d be a great addition. Why he/she should be in Super Smash Bros: While most Sega fans clamor for more Sonic characters to be added to the mix (God help us all if the Shadow fans have their way), the other Sega character I would like to see would be Nights. Given the nature of Nights’ games, I could easily see him/her being an aerial-based character. 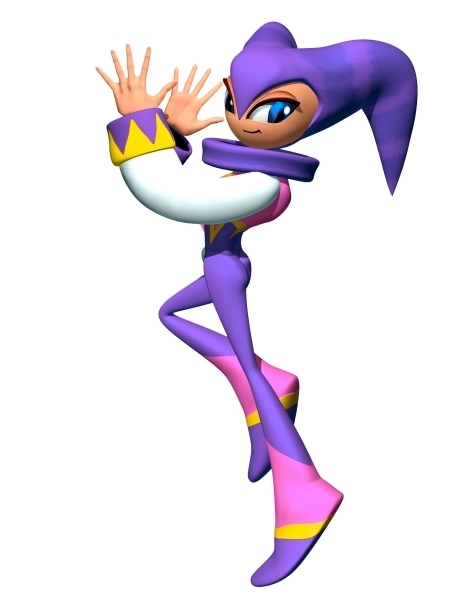 Nights is a bit of a long shot, but no doubt he/she would make for a fantastic addition to the Super Smash Bros. roster. Why he should be in Super Smash Bros: First thing’s first… NOT A CLONE! With that out of the way, I have to point out that Super Smash Bros. doesn’t exactly shy away from having multiple versions of the same character on the roster (Mario and Dr. Mario, Samus and Zero Suit Samus, etc. ), and Paper Mario seems like one of the few characters who would fall under this category who would be a welcome and unique addition to the series. He could have something of a Game & Watch style visual look, and his moves could be based around his partners from the Paper Mario series or something. Just don’t ruin him with a Sticker star gimmick. Why he should be in Super Smash Bros: There are two primary reasons I want to see the Wind Waker iteration of Ganon added to the mix. The first is that The Wind Waker is, bar none, my favorite of the 3D Zelda games (Ocarina of Time be damned). It was like a culmination of what Ocarina started, with a style that was distinctly its own. Twilight Princess felt creatively restrained as it pandered to fans, and Skyward Sword branched out in some creative ways, but the results could be a mixed bag. But Wind Waker had it all figured out, and its only got better with age. Clearly, I just want more Wind Waker representation. The other reason I’d like to see Toon Ganon is, well, I still can’t stand that Ganondorf’s moveset in Super Smash Bros. is cloned from Captain Falcon. Sure, Brawl and the Wii U/3DS games have ironed him out a bit, but the core of his character is still a Captain Falcon clone. Ganon deserves much better. 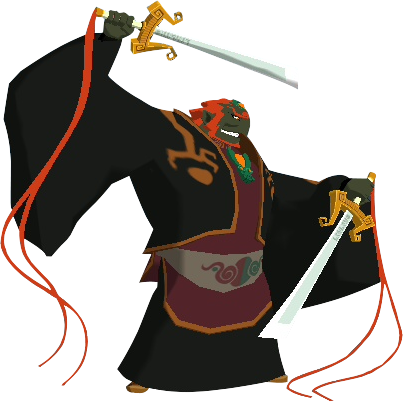 Given Ganon’s penchant for duel-wielding swords in Wind Waker, I can only hope that could be used to make him a more unique character.